The packaging of the Diamond Flat Iron really impressed me. It shows you get what you pay for. They come in a sleek black box which has a magnetic close. Once opened you can see full details on the inside of the box telling you everything you need to know. The Tourmaline Flat Iron is bright red which really stands out. I like how they look different and stand out from other brands. What is Diamond and Tourmaline Technology? It basically means it will keep your hair looking healthy, stop frizzing, keep colour and moisture whilst making your style last all day. In other words it is amazing for your hair! 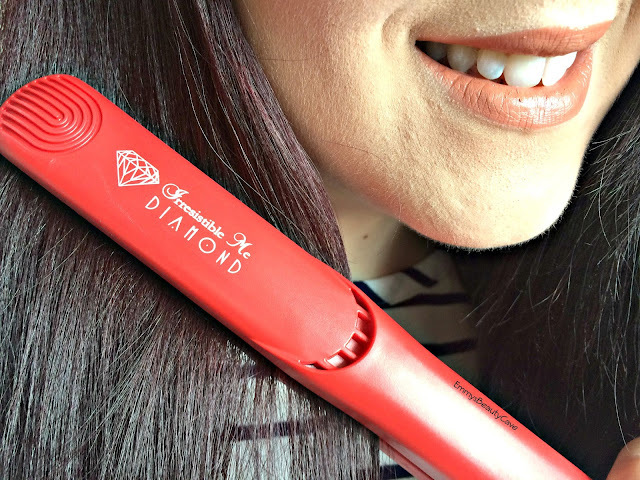 The Diamond Flat Iron has a US Plug which isn't an issue as all you need to buy is an adapter which I purchased for £2.99 from Argos. The Dual Voltage feature means they will automatically change the voltage depending where you use it. As I said I have extremely thick hair, literally lion head hair so the temperature is a big thing for me. Once switched on I noticed how they instantly heated up to the full temperature, these heat up much quicker than GHD's. 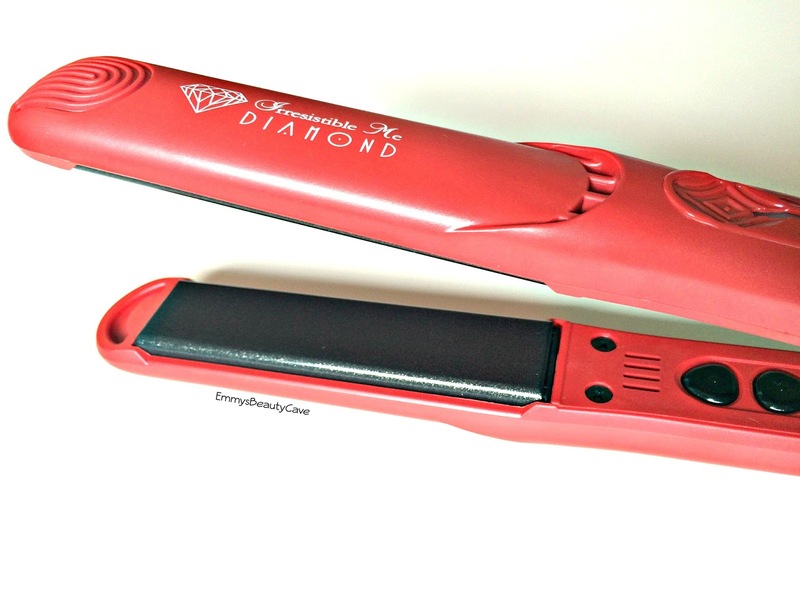 Most hair straighteners pull on my hair but these didn't at all, they glided through my hair perfectly. Another thing I love is that all of the buttons are on the inside so you won't catch them whilst using them. You can choose which heat you want and they will then light up green like the above photo. Usually when I straighten my hair I have to go other the same section twice to ensure it is fully straight but I didn't need to with these one's! My hair took half the time to straighten which is a bonus. 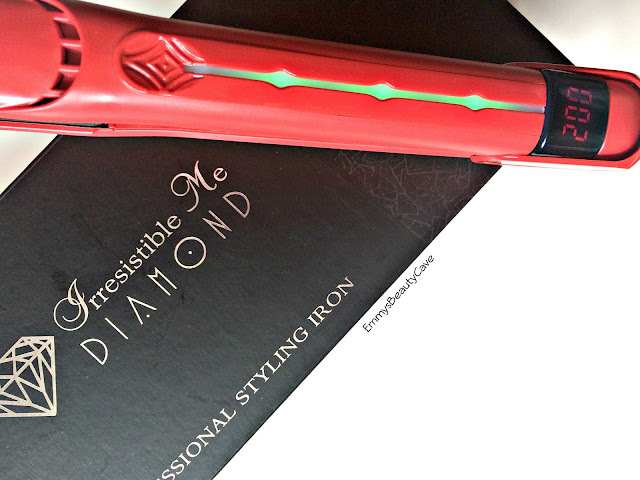 One big difference I noticed between these and GHD's is how light the Irresistible Me one's are! They are super lightweight which makes it perfect for travelling. I think the results speak for themselves. 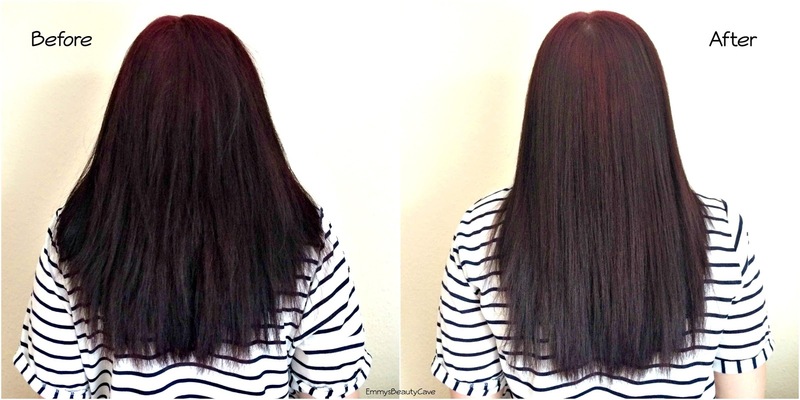 You can see how fluffy looking my hair is in the before picture and how sleek and straight it is in the After picture. Overall I am so happy with the straighteners and cannot recommend them enough. The Irresistible Me Diamond Flat Iron retails for $149 (approximately £105) and shipping internationally is $9.95 (approximately £7.00). 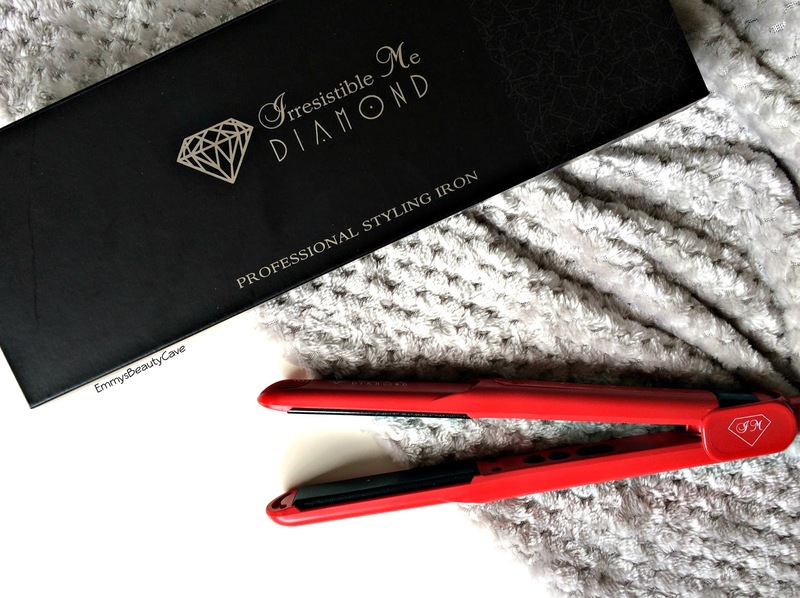 You can also get 20% off your first order which means you would get the straighteners for approximately £84 plus postage which is a bargain. I would 100% recommend these over GHD's as I love how they don't pull on my hair, they are extremely lightweight and look how straight my hair is! 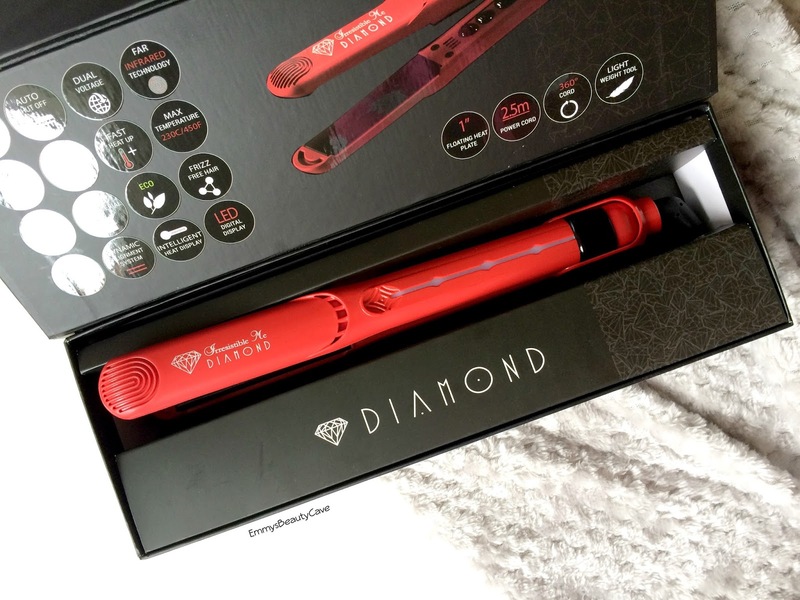 They also sell the Sapphire 8 in 1 Curler which looks insane! I want to try it so bad!